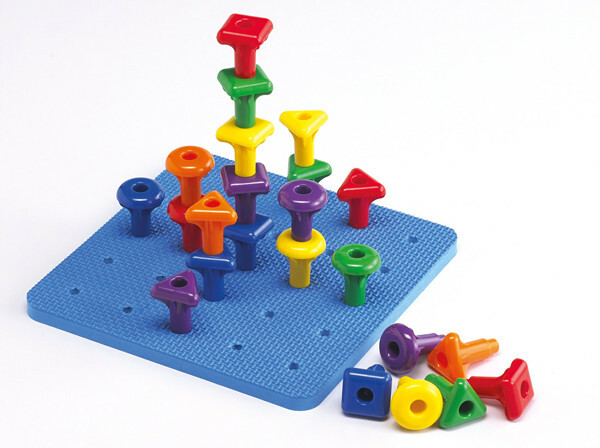 36 stackable giant pegs in 6 bright colours, 3 shapes, with 210mm square base board. Ideal for developing fine motor skills, counting, sorting and patterning. Pegs have a hole through the bottom and can also be used for lacing activities.